Brad and Angelina’s romance began in scandal. Pitt was married to America’s sweetheart, Jennifer Aniston, in 2000. The pair became a Hollywood sensation. The world was captivated by the seemingly perfect marriage but all was not what appeared to be. In 2005, Brad would star alongside Angelina Jolie in the action comedy Mr and Mrs Smith. With the many hours spent on set and the heated onscreen chemistry between the leading man and lady, rumors soon began to swirl… Angelina had had a string of high profile and often scandalous romances. She had been married twice, once to actor Johnny Lee Miller, and then to Billy Bob Thornton. Yet another world famous actor would soon be ensnared by the seductress. The actress’s wild youthful years were well-documented by the press. She particularly raised eyebrows with her antics with her second husband, Billy Bob Thornton. They frequently made headlines with their outlandish declarations and often inappropriate red carpet displays of affection. The actress got a tattoo of the actor’s name on her arm and the pair wore necklaces containing vials of each other’s blood. Angelina was also open about her attraction to women as well as her dark fascination with knives. Once again, the actress turned heads when she bizarrely kissed her brother at an Oscars after party in 2000. The siblings had often publicly displayed their intense affection for one another. Scandal would follow surrounding the nature of Brad and Ange’s relationship. After just two months of separation, Jen would file for divorce. 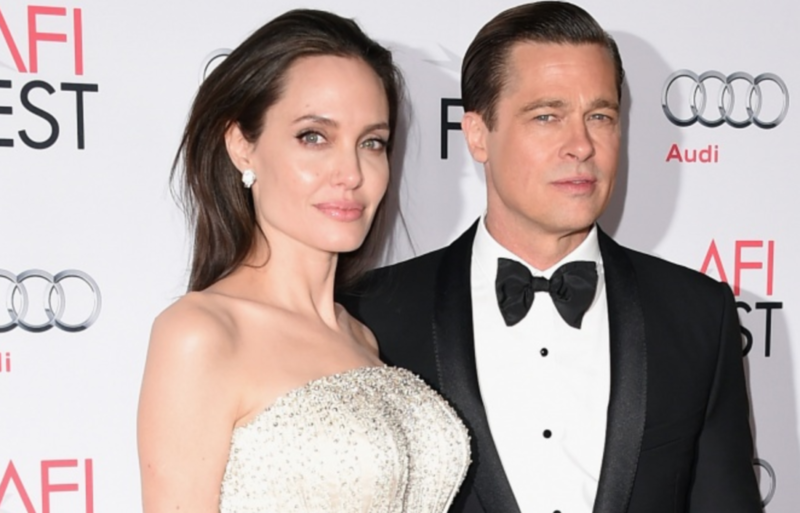 The actress cited ‘irreconcilable differences’ as the official reason for the couple’s split but many speculated that Brad had been involved in a steamy affair with Angelina. The news birthed a media sensation. The tabloids and the public pitted the two women against one another. At the time of the media storm, heiresses Paris and Nicky Hilton were famously photographed wearing ‘Team Jolie’ and ‘Team Aniston’ t-shirts. The award-winning actress had a long history of seducing her co-stars and it seemed Brad was not immune to the beauty’s charms. 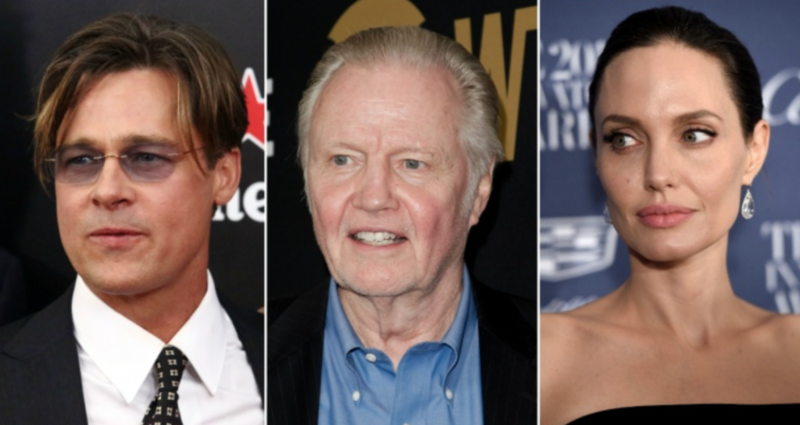 Though Angelina fiercely denied the rumors of infidelity saying, “To be intimate with a married man, when my own father cheated on my mother, is not something I could forgive. I could not look at myself in the morning if I did that. I wouldn’t be attracted to a man who would cheat on his wife.” Despite her denial, the truth was later revealed. Just a mere month after Brad and Jen’s divorce, Angelina and the heartthrob were spotted holidaying together in Kenya. Dubbed ‘Brangelina’ by the press, the new couple became a worldwide media sensation. They were photographed together with increasing frequency and it seemed, regardless of the public scandal, the two were pursuing their romance. Indeed, two of the world’s most beautiful people had fallen in love. Shock news would soon follow. The media became obsessed with the famous pair. The actors were hounded by the paparazzi of the world. After months of speculation the pair would make a surprising announcement. On January 16, 2006, news would break. Angelina was pregnant with Brad’s child. Despite being photographed together for months, the scandalous news was the first public acknowledgement of the pair’s relationship. Jolie gave birth to daughter Shiloh Nouvel in Swakopmund, Namibia, in 2006. The paparazzi were desperate to catch a glimpse of the world’s most famous celebrity child. Reportedly, Brad and Angelina sold the rights to the first images of their child to Getty Images for over $4 million while Hello! magazine obtained the British rights for $3.5 million – all of which, the couple gave to charity. 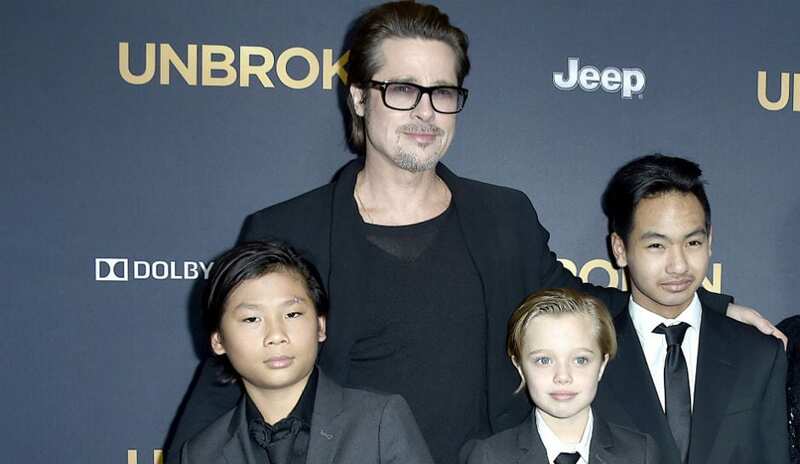 Brad and Angelina had a growing brood of children. Brad legally became the adoptive father of Angelina’s other children; Maddox, Zahara and Pax. The years passed and although the pair’s relationship supposedly went from strength to strength, it appeared that the world famous couple were in no rush to tie the knot. In a 2006 interview with Esquire magazine, Brad said that he and Angie “will consider tying the knot when everyone else in the country who wants to be married is legally able.” Yet again, their family brood would soon grow. In 2007, the couple would once again make world headlines when Angelina announced she was expecting twins. The pair welcomed their son Knox Léon and daughter Vivienne Marcheline on July 12, 2008. A bidding war soon ensued over the rights to the images of the couples new children. The eventual sum would make history. Brad and Angelina’s family life was fiercely scrutinized by the press and public. Their parenting choices surrounding their child, Shiloh, made repeated headlines. 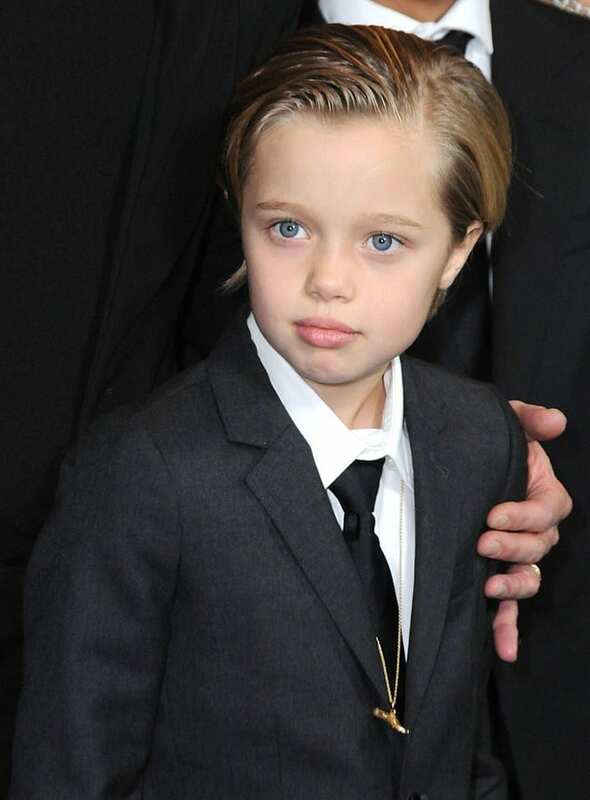 When Shiloh was photographed attending red carpet events in masculine suits sporting a boyish haircut, many speculated that the child was experiencing gender confusion. Despite the criticism, Angelina repeatedly defended her eldest biological child. In 2014, to the delight of the world, Brad and Angelina would make their way down the aisle. The couple wed in an intimate ceremony in France. All six of their children were in attendance and each played a special role in the nuptials. 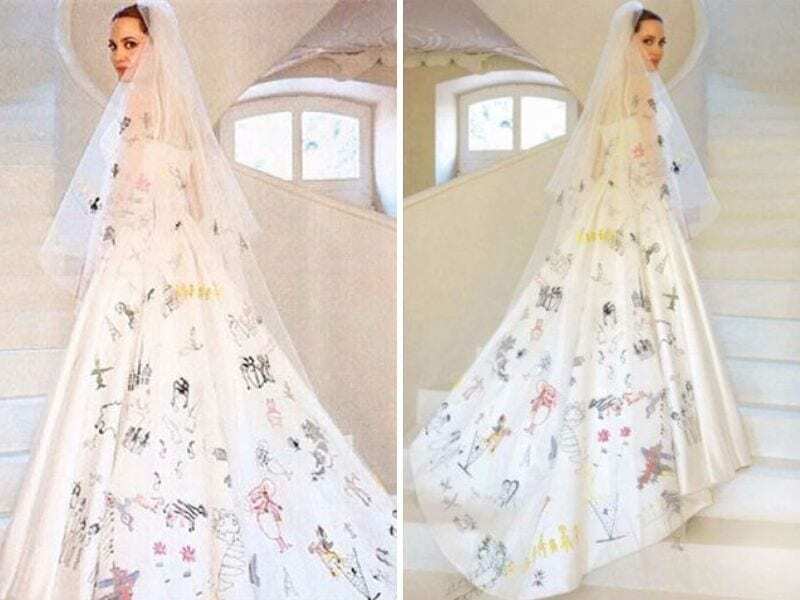 Angelina’s pale silk wedding gown was designed by Versace’s master tailor, Luigi Massi, and included a custom veil that was embroidered with her children’s doodles. Despite the appearance of wedded bliss, cracks soon began to appear in the marriage. 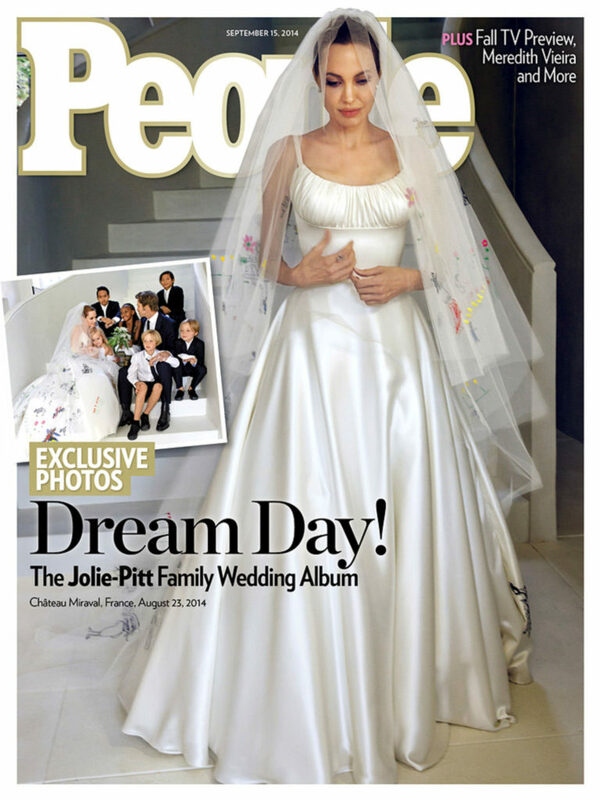 ‘It’s a wonderful feeling to be married,’ said Angelina Jolie in a brief, strangely detached, statement to Hello! magazine to mark the event. ‘The children are so happy.’ How it would all change…. Though Angelina had asked the judge to grant her children’s father visitation rights, the actress requested full physical custody of the couple’s six children. Many were startled by Angelina’s decision putting Brad’s parenting into question. The nature of the split became increasingly dark with a source close to the family soon sharing details of the couple’s relationship woes. “They fought a lot over the years and disagreed about many things. . . . The fighting got worse and they disagreed a lot about parenting.” Angelina was renowned as a passionate and outspoken woman, while rumors about Brad’s fierce temper would make the tabloid rounds. More details about the split would soon surface, revealing some disturbing news. In September of 2016 People magazine reported that the actor was under investigation for child abuse by the Los Angeles Police Department and LA County Department of Children and Family Services. An anonymous person reported that the actor got “verbally abusive” and “physical” with one of his six children. Disturbing details about Brad’s temper and substance abuse would soon arise. The divorce battle was becoming a harrowing ordeal for the actor, leaving his previously untarnished reputation in ruins. In another shock revelation, Brad’s case was being investigated by the FBI. The incident that had allegedly led Angelina to file for divorce supposedly involved Brad and the couple’s eldest son, Maddox. A heated argument between the two reportedly turned physical while the family was on an aircraft, flying home after a trip in Nice, France. 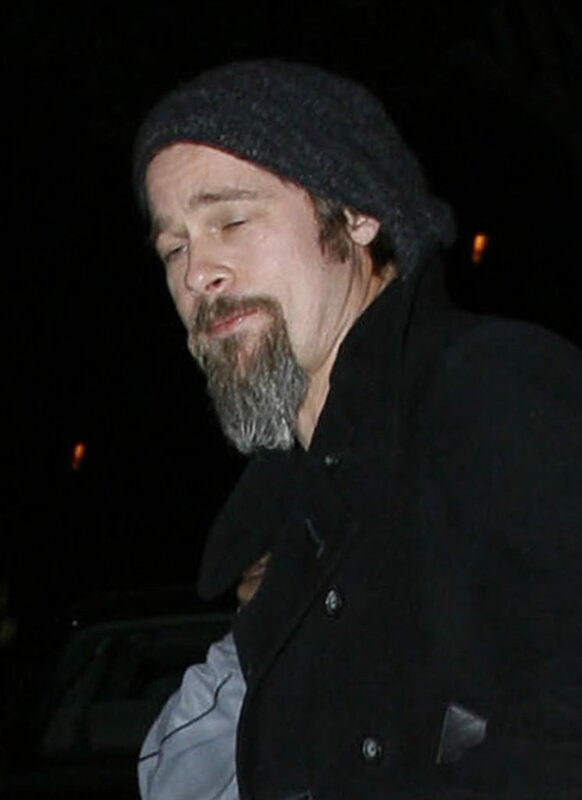 Eye witnesses soon revealed troubling reports about Brad’s erratic and supposedly violent behavior. Some reports alleged that Brad was inebriated at the time of the attack. Supposedly, Maddox had jumped to defend his mother as the husband and wife exchanged insults during a heated argument. Us Weekly reported that a video of the incident was discovered. In the footage, Pitt can be seen “looking drunk” and “yelling.” But the source claims that “nothing physical” was recorded. Regardless, the FBI would soon step in. 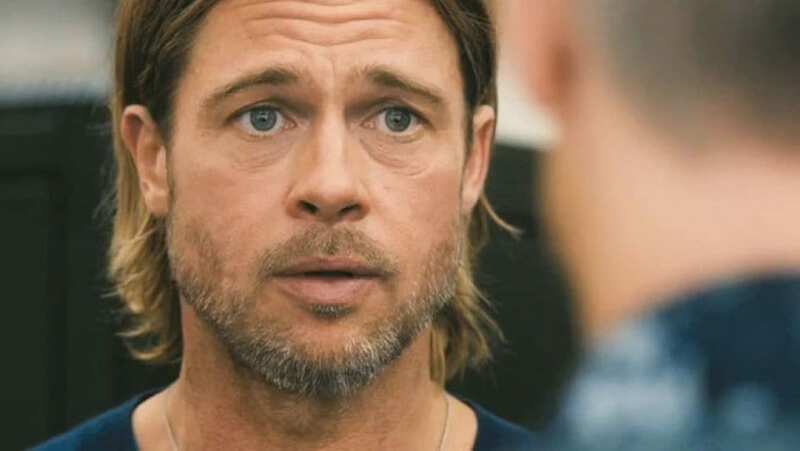 The Bureau released an official statement to US Weekly reading, “In response to your inquiry regarding allegations within the special aircraft jurisdiction of the United States; specifically, an aircraft carrying Mr. Brad Pitt and his children, the FBI is continuing to gather facts and will evaluate whether an investigation at the federal level will be pursued.” In an attempt to clarify the details of the incident, the FBI spent three hours interrogating each of the couple’s children. A custody agreement was soon reached. Angelina was granted full physical custody of the children and Brad would be allowed to visit the children but only if a chaperoning therapist was present. The initial meeting was strained. Reportedly, Maddox refused to see his father for over a month before relenting. The agreement was reached after the FBI announced that Brad was cleared of all charges against him. Yet the bitter battle was far from over. Brad’s lawyers soon filed a motion asking a judge to seal the children’s’ records as it relates to the divorce. The actor reportedly made the move in an attempt to save his dismal public reputation but Angelina soon hit back. TMZ reported that Angelina responded with legal documents claiming that Brad only wanted to keep proceedings private because he’s “terrified that the public will learn the truth.” Indeed, Brad appears to recently have confirmed how his drinking problem contributed to the couple’s nasty split. 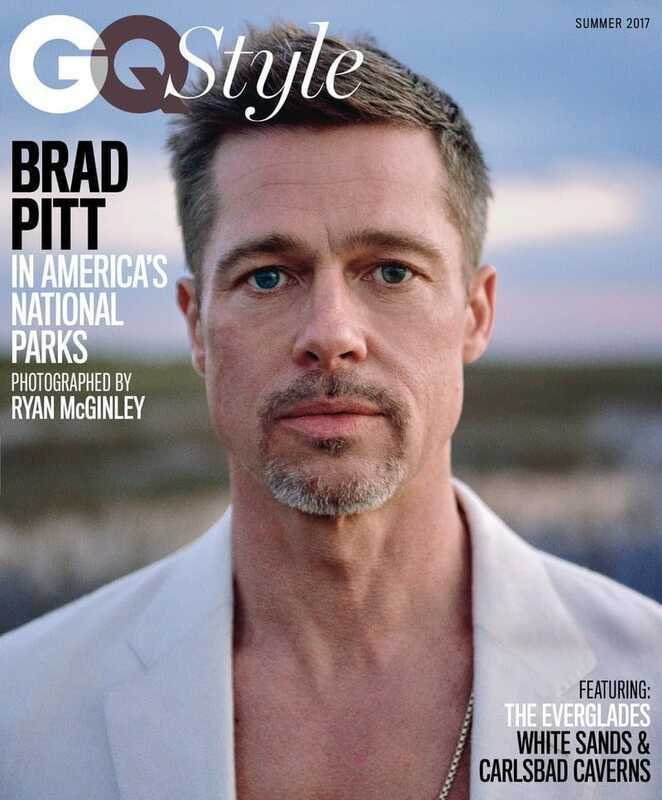 In a recent interview with GQ magazine, Brad revealed his battle with alcohol. The actor revealed, “I was boozing too much. It’s just become a problem… I could drink a Russian under the table with his own vodka.” He also shared that he felt he was not living up to his potential as a father: “It’s hit me smack in the face with our divorce: I gotta be more for them. I have to show them. And I haven’t been great at it.” Yet more scandal would break regarding Brad’s child support. Angelina soon publicly accused Brad of not paying child support. 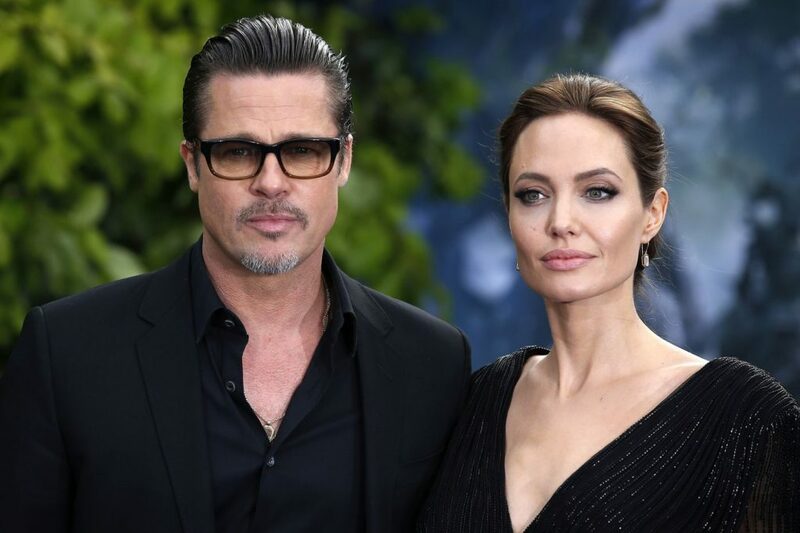 Jolie’s attorney, Samantha Bley DeJean, claims “as of present, [Pitt] has paid no meaningful child support since separation.” Pitt and his legal team soon fired back. Pitt’s attorney Lance Spiegel publicly stated that the actor loaned Angelina $8 million to purchase her current home and paid $1.3 million in “bills” for the benefit of Jolie and their children since their split. Pitt’s attorney called Jolie’s filing a “thinly-veiled effort to manipulate media coverage.” But how much is the divorce costing them? Rumors are flying around, that Pitt hooked up with Allied (2016) co-star Marion Cotillard for months while filming in London. A source said, “He’s in the throes of some insane midlife crisis, and Angie’s fed up. She hired a private eye because she felt that he was fooling around with her on the set, and it turns out, he was. And that was the final straw.” Is this just hearsay? Each of the actors are worth millions of dollars but it seems the lengthy divorce proceedings are beginning to their toll on the famous couple’s bank accounts. Negotiations around the splitting the pair’s combined $400 million fortune are nowhere near complete. High-profile celebrity lawyers have speculated that Brad and Angelina have spent a combined amount of $6 million on legal counsel. And the end of the divorce is far from over. Angelina Jolie revealed her painfully thin arms at the red carpet premiere of her latest film First They Killed My Father – sparking concern she’s still struggling with health issues. The 42-year-old actress, who was hospitalized as a result of her anorexia as a teen, has previously spoken about how her weight is affected by stress. There are always two sides to every story. Recent tabloid reports have expressed concern surrounding Angelina’s weight but sources have speculated that the actress’s weight loss is an attempt to gain public sympathy during the divorce proceedings. 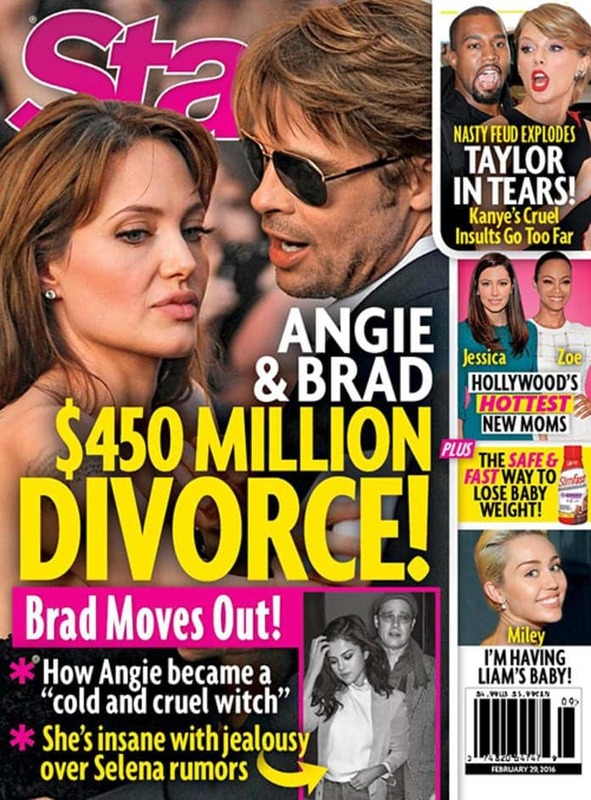 An exclusive source told NW magazine, “She’s starving herself to essentially say to the world, ‘Look at what Brad’s done to me.’” The article stated Jolie is willing to do anything to “take down” her estranged husband and is determined to win the public’s support. It seems that the nasty divorce battle is set to continue. Many speculate that the bitter proceedings will go on longer than the celebrity marriage itself. Only time will tell if the two will come to an amicable settlement that will spare the high-profile family of more heartbreak and tabloid scandal. Could Compromise Be Around The Corner?